“There desperately needs to be a separate line at The Coffee Bean for people who have their life together!” I muttered under my breath to my friend while patiently (okay, maybe not-so-patiently) waiting to order my organic, dark-roast dose of caffeine. Either there were way too many people who had never actually ordered coffee before, or I was just in a particularly cranky, java-deprived haze. As a personal trainer, smoking, booze, and recreational heroin use (ha ha) or, any drugs for that matter! are obviously things that are not part of my life. However, admittedly, coffee is definitely a vice of mine… but one that I am unapologetic about. Let me clear up any misconceptions about what I mean by consuming coffee. organic beans can drastically reduce your exposure to many of the toxins from pesticides that are typically used in coffee production. I always buy whole bean coffee for my house and keep it refrigerated and grind it fresh when I need a little pick-me-up. Until I recently broke my French press, that was my preferred method to brew a cup. Until I get around to replacing that, I just make sure that I use bleach-free or permanent filters, I think it tastes better and who really wants bleach in their coffee anyway? 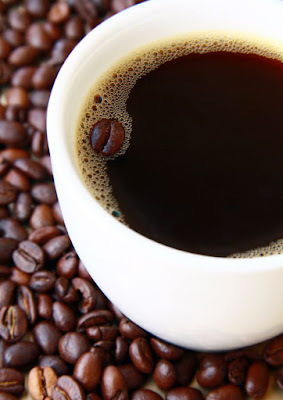 Even though my clients like to give me a hard time for what could be considered a borderline addiction… I am always quick to point out the undeniable benefits a good, strong cup of coffee can provide. Just, please don’t confuse that frothy, oversized disaster of sugar, polyunsaturated fats, and artificial-flavors-in-a-cup with coffee. Even calling it a cappuccino is a misnomer. Coffee shops have just figured out a way to sell you a hot milkshake. Let’s take a look at some of the reasons you should consider starting your day with some java magic. 1. Fat Loss-The only reason that ab-blaster class is on the group exercise schedule is because everyone wants amazing abs. But I will tell you with the same brutal honesty I tell all my clients, unless you get rid of the fat around your midsection… no matter how strong your abs are, you’ll never see them! However, caffeine has been shown to boost your metabolic rate and help burn fat. So, you really can work on your beach body from your neighborhood coffee shop! 2. Memory -Alzheimer's disease is the most common form of dementia, or non-age related cognitive decline, which affects memory, attention, language, and other cognitive-related functions. Although there is currently no cure for Alzheimer’s we are learning that there are things we can do to possibly prevent it from happening. Along with exercise, the latest research also indicates that coffee drinkers have a significantly lower risk of acquiring the disease. 3. Improve Your Workout-The proven ergogenic effects of coffee means that a big cup of coffee can help you get through the toughest workout. Not only that, it is arguably a lot better for you than any of the overpriced, pre-workout drinks in your gym's cooler. Another interesting aspect of coffee as an ergogenic aid is the notion that it helps to reduce your rate of perceived exertion or RPE, which is a way to measure the intensity of your workout. If coffee helps you lower your RPE, you might just be working out harder and more effectively and not even realize it! 4. Fight Depression-It is estimated that around 15 million Americans struggle with depression in one form or another. However a study published by the Harvard School of Public Health suggests that perhaps coffee can help decrease the risk of depression in women. I do want to be absolutely clear that if you do think you might be suffering from moderate to severe depression, please seek medical and psychological counseling. A little coffee and some exercise may not be the cure-all, but it certainly can’t hurt. 5. Longer Life-This may be among the best news yet, coffee can help increase the longevity of your life. Make sure you give all the people in your life that you care about gift cards to Starbucks… you might just be able to keep them around a little longer! Just make sure you are steering clear of adding lots of artificial sweeteners, creamers and flavors to that perfect cup of organic, dark-roast, life extending Venti cup of vitality. What are your thoughts, how do you take your coffee? Share your thoughts below or on my Facebook page. Fitness expert and strength coach Jini Cicero, CSCS, teaches intermediate exercisers how to blast through plateaus to create incredible transformations. Are you ready to take your fitness to a whole new level? Find out now! www.Jinifit.com.